Rabbi Lifshen is the Rabbi of Congregation Brith Sholom, a Conservative Jewish Congregation in Erie. He has also served congregations in Atlanta, Georgia, Dallas, Texas, Oklahoma City, Oklahoma, and Phoenixville, Pennsylvania. Rabbi Lifshen is from New York. He holds a Bachelor’s degree from City College of New York, and also a Rabbinical Ordination and Masters of Hebrew Literature from the Jewish Theological Seminary of America. He holds a certificate as a Mohel from the Chief Rabbinate of Israel. Rabbi Lifshen holds a degree in Clinical Pastoral Counseling and has studied at the William Alanson White Institute for Psychology, Psychiatry, and Psychoanalysis. Over the year he as addressed many groups on Jewish Medical ethics. 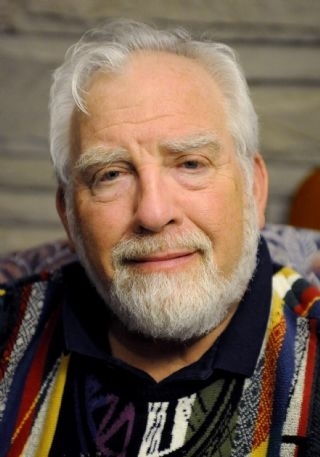 He was a charter member of the Psychologists-Rabbis Study Group and he currently sits on the Board of Incorporators at both Hamot Hospital and St. Vincent’s Hospital in Erie. Rabbi Lifshen was a rabbinic consultant and member of the Counseling Committee at Jewish Family Services, the Rabbinic Liaison at the Jewish Home for the Aged, the Rabbinic Leader of the Jewish Marriage Encounter and a Board Member of the Jewish Federation of Dallas and the Jewish Community Relations Council. He was also a member of the Richardson Ministerial Alliance and the Dallas Clergy Association; a member of the Clergy Committee of the Pardon and Parole Board; and was the Chaplain of the Phoenixville City Council. He is a member of the local and national Rabbinical Assembly; the New York Board of Rabbis; the Cleveland Board of Rabbis, and the Greater Pittsburgh Rabbinic Fellowship. Rabbi Lifshen was honored to compose the official prayer for Erie’s Bicentennial Commemoration, which was also made into a musical presentation. He served on the Erie County Millennium Commission and was honored to offer words at the Inauguration of Mayor Joseph Sinnott. After 25 years of service to the Jewish people, he was conferred Doctor of Divinity Honoris Causa by the Jewish Theological Seminary, his alma mater. He has been married to Faith Epstein Lifshen for 44 years. They have two adult children, having lost their third child in December 2004, and four grandchildren.